Paul Pogba has hit form for Manchester United under caretaker manager Ole Gunnar Solskjaer. 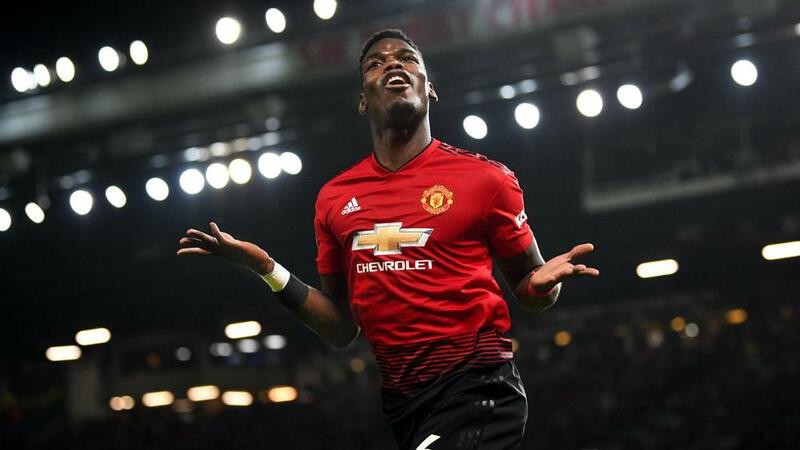 The 25-year-old's performances under Jose Mourinho were criticised, but it appears the Portuguese's sacking in December has led to a turnaround for Pogba. United have won four straight Premier League games under Solskjaer, although those victories have come against bottom-nine sides Cardiff City, Huddersfield Town, Bournemouth and Newcastle United. Solskjaer's biggest test yet at the helm comes on Sunday, when United visit Tottenham. But with Pogba in form, perhaps United's tough period is over. We use Opta data to take a look at how the midfielder has improved since Solskjaer replaced Mourinho. 7 – Pogba has more goal involvements (seven) in four league games under Solskjaer than he did in his 14 this season (six) under Mourinho. 4 – The France international has already scored more times (four to three) in the same period. 4 – Pogba is getting more opportunities, averaging four shots per 90 minutes under Solskjaer, as opposed to 3.2 in the 14 games under Mourinho. 25 – He is suddenly far more clinical, converting 25 per cent of his shots (against 7.5). 88 – Pogba is also far more involved and United's style has changed, with 88 passes per 90 minutes – against the previous 64.2.